The No.14 got his name on the scoresheet to reduce the deficit at Carrow Road, netting just moments after the Canaries had extended their advantage to 3-1 early in the second half. 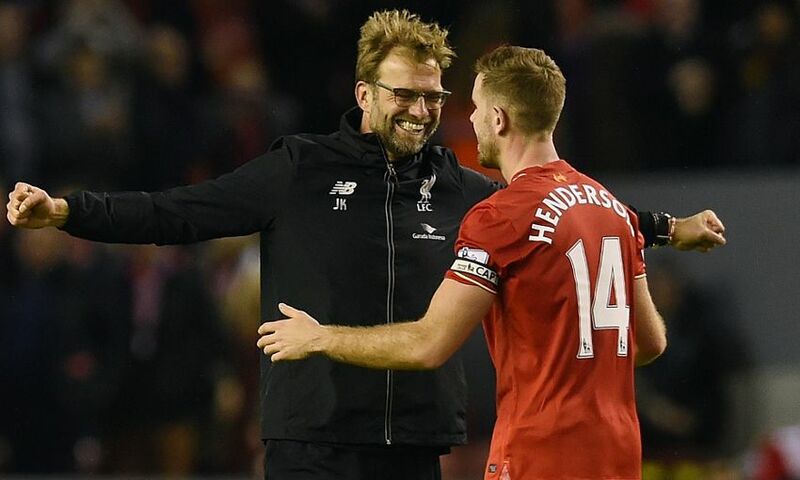 The timing of that goal proved decisive in enabling the Reds to go on and record a 5-4 victory – and ahead of this evening’s Capital One Cup semi-final, second-leg clash with Stoke City, Klopp was full of praise for his skipper. He told Liverpoolfc.com: “There's no doubt about the importance of Hendo. He's a brilliant player, I like his style. “A player like Hendo needs physical fitness, of course he's not at 100 per cent but his mentality helps him and us to keep on working with him because I think a lot of players in the football world would have struggled with the [injury] problems he's had. “But he's a really fighter and it's very important for us and for the team that he wants to be available for us. Always with everything he can do, he's available. For him it's the early part of the season because he had a long break with his heel injury. “He's a perfect professional football player and I love his attitude, that's really great for us. “And in that game especially, the goal was in a moment when I think Norwich were celebrating in their minds [immediately after scoring]. We didn't play too well in this moment and it seemed to be very easy to beat us, but then he woke up everybody with his goal.